Long haircuts for toddler boy are especially popular among kids as they love shaking their heads and ruffling their hair. Whether young, old or merely a toddler, everyone loves looking and feeling good. Hairstyles instantly lift up a person’s personality so they need a certain measure of thought and creativity. The cooler the hairstyle, the more popular a kid is at school or among his friend. Toddlers do have a friends circle and cousins who are a competition, don’t they? This means that they have to look their best to feel confident and well-prepared for anything. The bigger question here is why would the toddlers not love long stylish hair which is sure to make them look cool? Toddler boys long hair are fun and exciting so we have a list of some of the best hairstyles for little gentlemen here. This cool and cute toddler boy long hairstyle is an absolute favorite of most little devils. One side of the head is neatly trimmed off giving a faded look. The hair on the other side of the parting is long and set with gel to help them stay put even when your magnet to trouble goes running around the place! 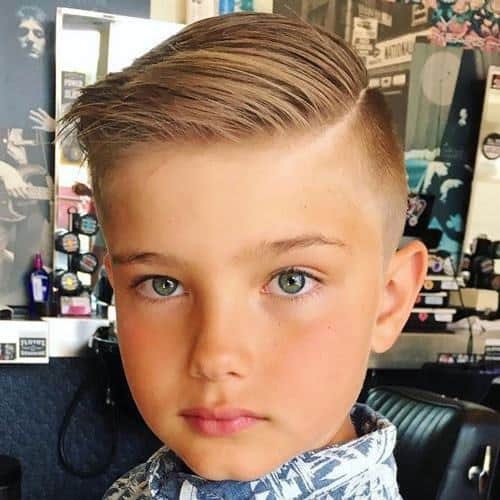 If your little man does not like to have his haircut too short then this is the best toddler boy long haircut. There are fringes all over his head pointing in every which way with the sides trimmed well. The fringes are best when cut by a hairstylist as you have to disproportionate, but not too messy. Then you can easily set those fringes in all the directions that you want with a nice child-friendly gel. This haircut is nice for the toddlers who like to have their hair all over the place as it doesn’t make them look messy or sloppy. It is nice to neatly brush the hair first and then leave them hanging to the respective sides of the head, while some of them fall over forehead too. 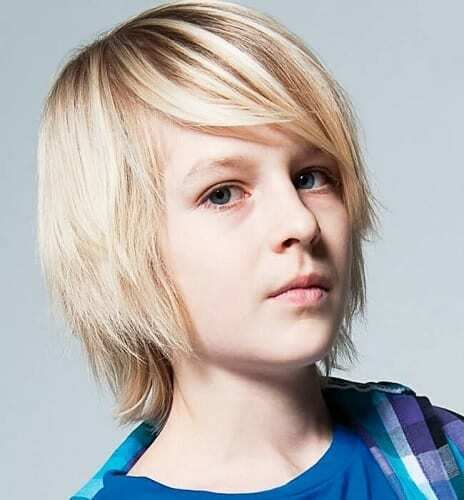 This cool long hairstyle is going to be the favorite of your little boy. This is one of the cutest and most worthy of endearment haircut for toddlers with long hair. You need to brush the long bangs to side in the front of the head. This one looks absolutely stylish and awe-worthy. So, make sure that your toddler has fun sporting it. Now, this is what toddler boys long hair is actually about. Cut the hair in a way that it stays long and give the perfect messy look on slight ruffling. You can have a haircut shorter around ears, but add more layers around other sides to make up for this. Remember that having a messy mop of long hair is what this toddler boy long haircut is all about.